Exchange MVP Steve Goodman has been in the IT industry for over 14 years and works as a Consulant at one of the UK’s leading Microsoft partners, working on the design and delivery of Microsoft solutions for organizations across the UK. Pat Richard is a former Exchange MVP, current Skype for Business MVP, and UC Automation Lead with Modality Systems. Pat also likes to noodle with PowerShell in his quest to automate the world. With more than a decade of messaging support, Pat continues to stay hip deep in Exchange and Skype for Business related projects including migration, upgrades, design, etc. Dutch Exchange architect & Exchange MVP working for a middle-large IT services company designing, implementing and troubleshooting Exchange environments, consulting customers and educating coworkers. 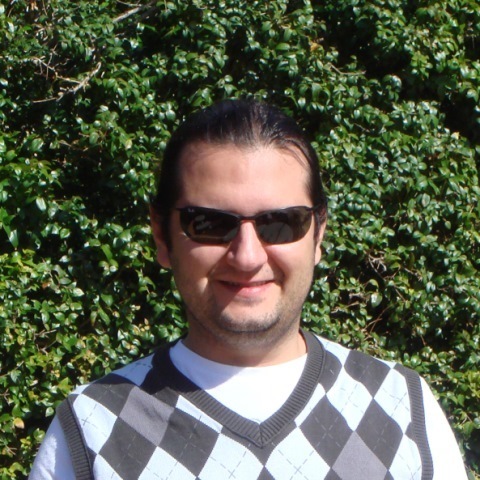 Serkan Varoglu is a Turkish IT Pro living in Bermuda . Serkan has over 10 years experience and hold certifications including MCITP (EMA 2010 and Enterprise Admin), MCSE, MCSA, MCTS, ITIL and was awarded the Microsoft MVP Award (Exchange Server). He is passionate about technology and an Exchange Server addict. John Cook is an Independent Contractor with over 15 years of experience whose focus is primarily Microsoft Exchange and Lync deployments and migrations. John also works with other Microsoft infrastructure products. John is from Chicago, USA. Michel is a consultant with a strong focus on Messaging, Unified Communications and related technologies, with a background in development. Implementation Engineer for Phoenix focusing on delivering Microsoft technologies to customers within the UK. You can also find Andrew helping the community with questions via his blog. Tom Arbuthnot is a consultant at Modality Systems, covering all aspects of Microsoft Unified Communications. 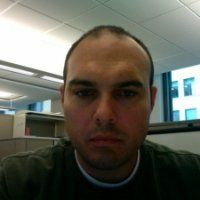 He is a Microsoft Skype for Business MVP & Lync MCM, actively involved in the Lync community, both online with the Lync’d Up Blog, TechNet Forums and Twitter, and offline as a founding member of the Microsoft UC User Group London. Justin Morris is a Skype for Business MVP and Consultant for Modality Systems where he designs, deploys and helps drive the adoption of Microsoft Lync in customers in the UK. He writes his own blog Justin Morris on UC, contributes to the TechNet NextHop blog and forums and is active on twitter. He is also the co-founder of the Microsoft UC User Group London. Tim is a former Exchange MVP, current Skype for Business MVP, and Lync 2010 MCM. Tim currently works as a Lync Architect at Avanade (formally Azaleos) and Practice Manager for the Avanade Managed Services Lync practice. You can also find Tim active in the TechNet Forums and twitter supporting the Lync community. Michael works as a Technology Consultant and trainer for Xylos (Belgium) where he is mainly involved in projects around Microsoft Exchange, Lync, Office 365 and Active Directory. Next to that he is an active member of the Belgian Unified Communications User Group: Pro-Exchange. For his work there, he received the Community Contributor Award early 2012. Johan Veldhuis is a Technical Consultant for Communicativ. In this role he is responsible for implementing Microsoft UC Solutions. Johan is a MCSE-M and MCITP and was awarded the Microsoft MVP Award (Exchange Server) for his contributions to the messaging and collaboration community. Paul is a Microsoft Exchange Server specialist, tech blogger and author.